View cart “Fetco Paper Filter F005” has been added to your cart. 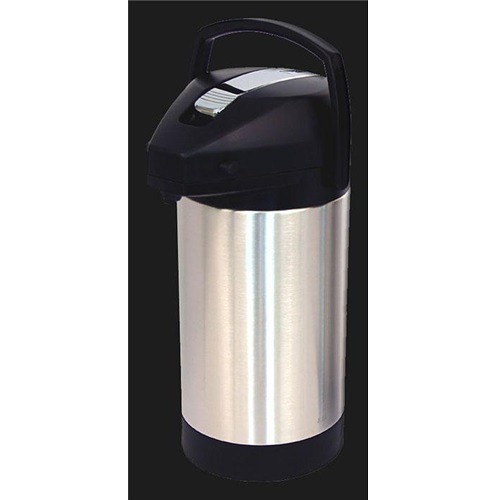 Need a coffee grinder you can depend on? The Curtis SLG is a workhouse of a grinder. It will hold 5 lbs. of coffee beans in the hopper and will grind the perfect amount of coffee directly into a coffee filter basket – all you have to do is press the button. 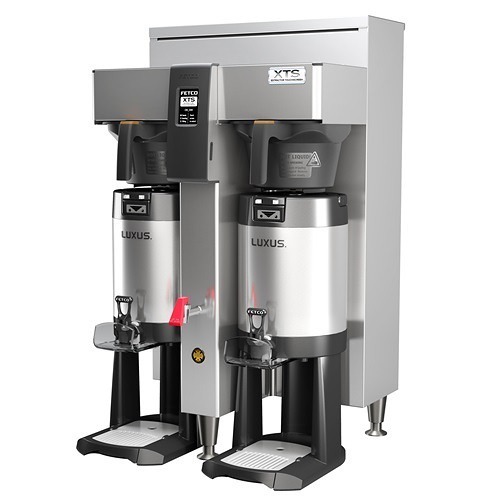 The Wilbur Curtis SLG Coffee Grinder is a low-profile portion-control commercial coffee grinder. 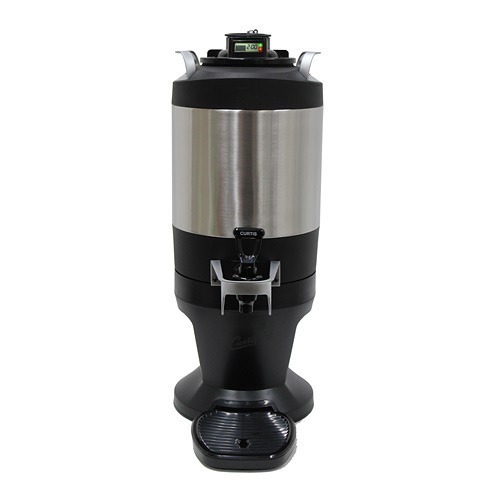 The SLG grinder makes it easy to brew fresh-ground coffee for every pot. Simply take the filter basket from the coffee brewer and slide it into the rails under the grinder. Press the button to begin the grinding process, and the coffee grounds are dispensed directly into the filter basket. A 5 lb. hopper holds and displays the coffee beans until they are ready for grinding. Simply press a button to start the grinding process. Grind size and volume can be easily changed..
Large hopper holds 5 lbs. of coffee beans. 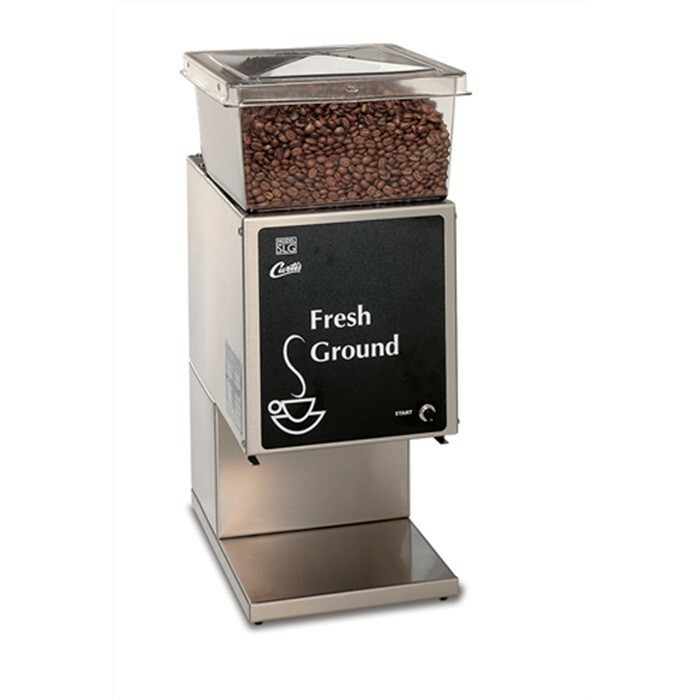 Brew baskets slide into the rails under grinder so that freshly-ground coffee can be dispensed directly into the brew basket. Rails can be adjusted to fit different size baskets. Precision grinding burrs and 1/2 horsepower motor are designed to last for years. Can grind in portion sizes from 1-27 oz. No special wiring needed – just plug into a regular outlet. 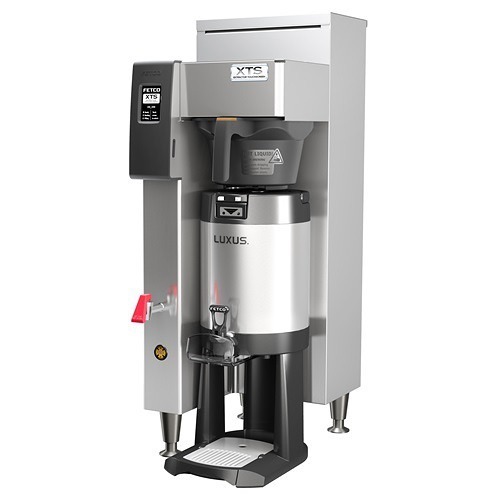 Want even more information about this great coffee maker, then check out the detailed Wilbur Curtis SLG Coffee Grinder Product Spec Sheet.